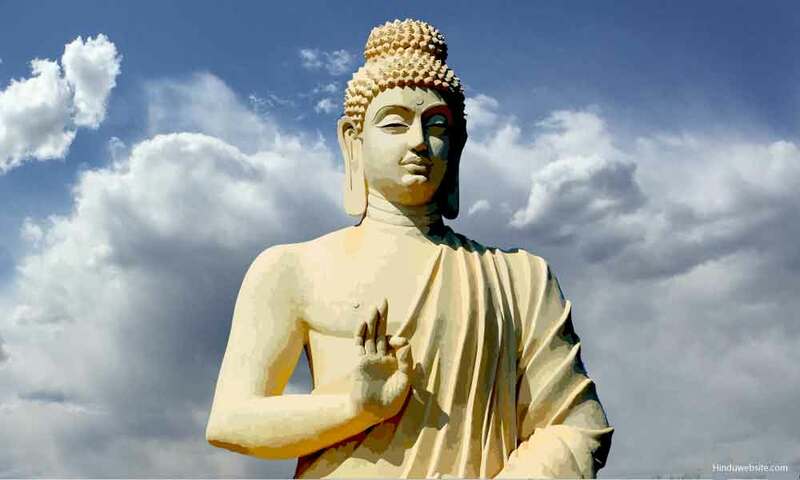 Back in the days of the Buddha, nirvana (nibbana) had a verb of its own:nibbuti. It meant to "go out," like a flame. Because fire was thought to be in a state of entrapment as it burned — both clinging to and trapped by the fuel on which it fed — its going out was seen as an unbinding. To go out was to be unbound. Sometimes another verb was used — parinibbuti — with the "pari-" meaning total or all-around, to indicate that the person unbound, unlike fire unbound, would never again be trapped. The essential step toward this non-localized, undefined realization is to cut back on the proliferations of consciousness. This first involves contemplating the drawbacks of keeping consciousness trapped in the process of feeding. This contemplation gives urgency to the next steps: bringing the mind to oneness in concentration, gradually refining that oneness, and then dropping it to zero. The drawbacks of feeding are most graphically described in Samyutta Nikaya XII.63, A Son's Flesh. The process of gradually refining oneness is probably best described in Majjhima Nikaya 121, The Lesser Discourse on Emptiness, while the drop to zero is best described in the Buddha's famous instructions to Bahiya: "'In reference to the seen, there will be only the seen. In reference to the heard, only the heard. In reference to the sensed, only the sensed. In reference to the cognized, only the cognized.' That is how you should train yourself. When for you there will be only the seen in reference to the seen, only the heard in reference to the heard, only the sensed in reference to the sensed, only the cognized in reference to the cognized, then, Bahiya, there is no you in connection with that. When there is no you in connection with that, there is no you there. When there is no you there, you are neither here nor yonder nor between the two. This, just this, is the end of stress." Source: Copyright © 2005 Thanissaro Bhikkhu. Reproduced and reformatted from Access to Insight edition © 2005 For free distribution. This work may be republished, reformatted, reprinted, and redistributed in any medium. It is the author's wish, however, that any such republication and redistribution be made available to the public on a free and unrestricted basis and that translations and other derivative works be clearly marked as such.